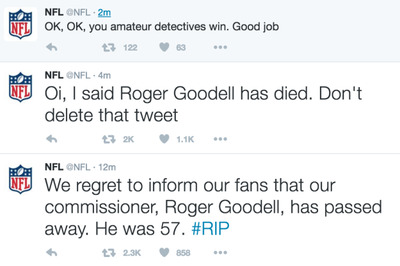 Someone hacked the National Football League’s Twitter account on Tuesday and announced that the commissioner had died. 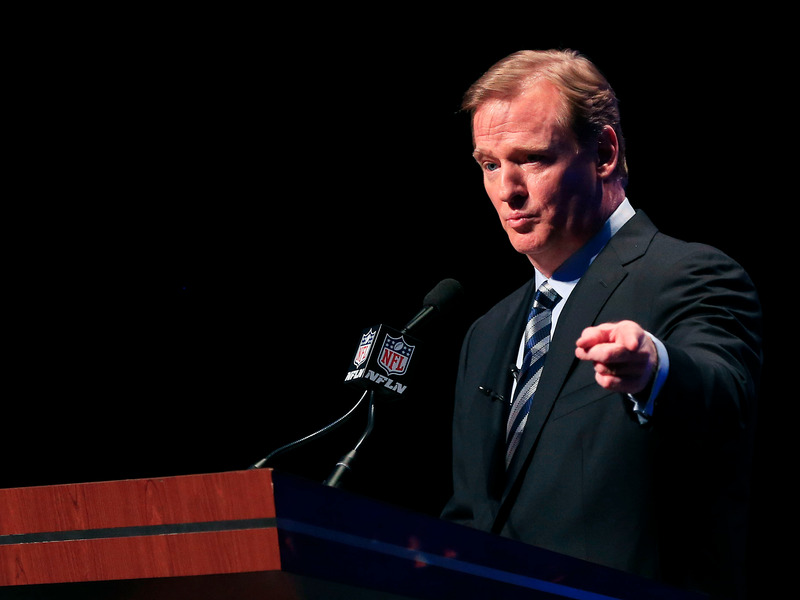 “We regret to inform our fans that our commissioner, Roger Goodell, has passed away. He was 57. #RIP,” the tweet read, which was quickly shared across Twitter. How the account was taken over was not entirely clear. It’s possible the password was simply guessed, or the hacker managed to use social engineering to reset the password on Twitter’s site. 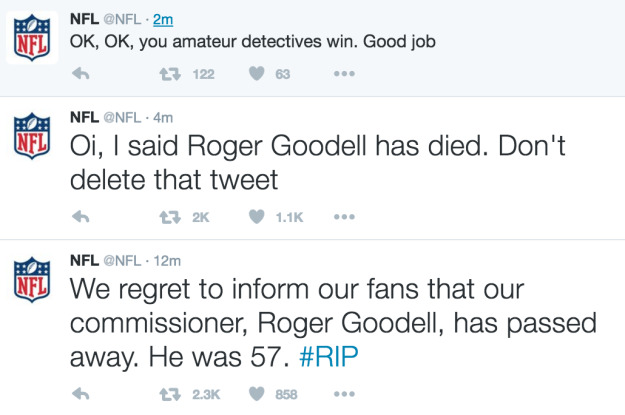 The NFL’s Director of Social Content did not immediately respond. Whatever the case, it isn’t the first time this sort of thing happened: In 2013 for example, the Associated Press’ account was compromised, which a hacker used to falsely report explosions at the White House that had injured the president.